Red Wine Roasted Figs with Honey and Rosemary is the perfect accompaniment for your cheese board or to spoon over ricotta or Greek yogurt. There is a short opportunity to enjoy seasons best figs. As the warm weather slowly comes to an end and fall begins to break, figs are at their best. I patiently (or impatiently) wait every single year, to enjoy fresh figs and buy pounds of them anticipating different ways to use them. Today’s recipe couldn’t be easier and truly showcases the simple sweetness that we love about figs so much. I always say, if you have an incredibly flavorful and in season ingredient, keep it simple because there is not much you should do to it. This recipe couldn’t be simpler. 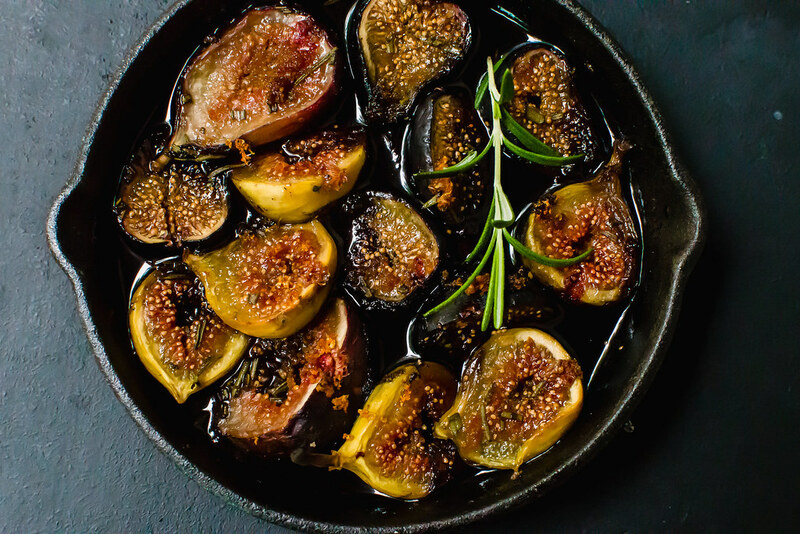 Fresh figs are added to a small cast iron pan, or you can use your favorite oven safe dish, but I love the look of cast iron. Then whisk together red wine, honey, fresh rosemary with a bit of orange zest and bake away. As the figs roast, they gently soften and almost turn into the most delicious jammy consistency. The honey and red wine sauce reduce slightly but is pourable enough to serve along side baked Camembert (hint hint, a MUST do!) or on top of homemade ricotta or Greek yogurt. How to pick fresh figs? Before we continue with the rest, I want to mention to to pick figs. And really, it is not that difficult, just give them a gently squeeze. A fig is shaped very similar to a pear, with a heavier rounded bottom and tapered top. Give a gentle squeeze on the thicker end and feel how soft it is. The softer, the better, which means the fresh fig will be super sweet. 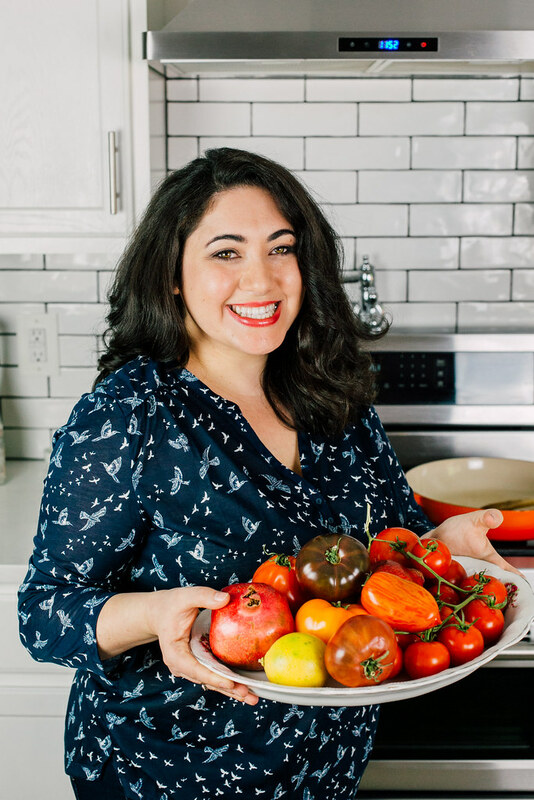 Truth be told, if I am lucky enough to find an amazing fresh fig, I’ll enjoy it as is, though I love adding them to recipes. Some of my favorite fresh fig recipes are fig Gruyere crostini which would be a gorgeous appetizer and Busy in Brooklyn’s honey fig roasted salmon that is currently on my must make list. 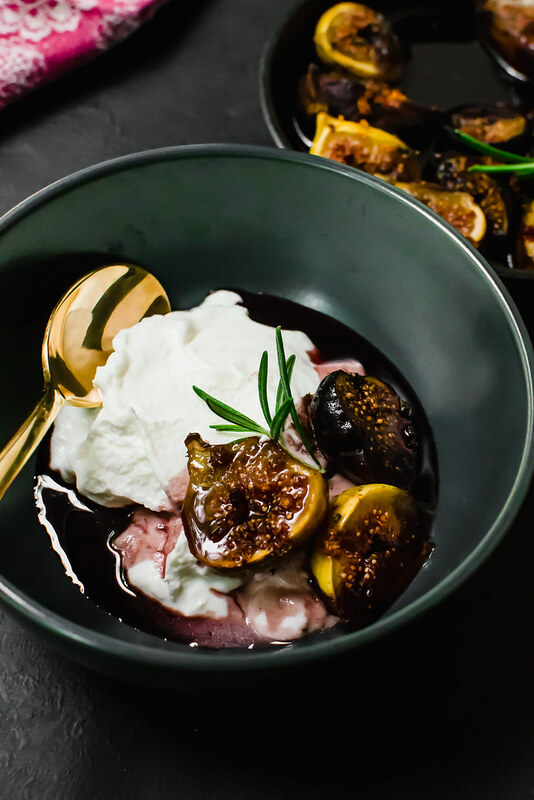 Red Wine Roasted Figs with Honey and Rosemary is the perfect accompaniment for your cheese board or spoon over ricotta or Greek yogurt. 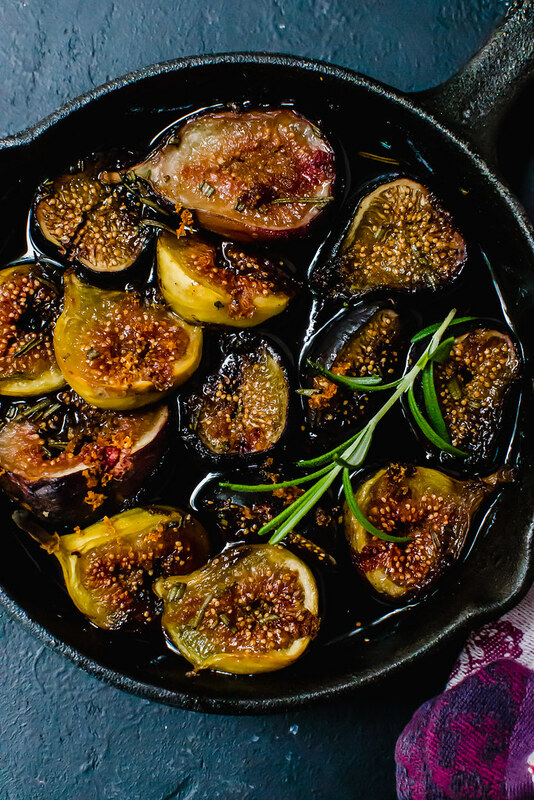 Add cut figs to a small cast iron pan or oven safe dish and set aside. Whisk together the red wine, brown sugar, honey, vanilla, orange zest and rosemary and pour over figs. Roast figs for 20 minutes until they softens and the red wine reduces slightly.